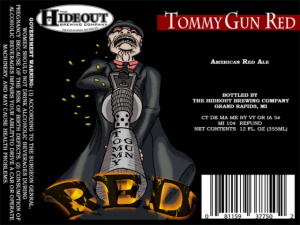 Brewer Reviewer’s Take: Tommy Gun Red by Hideout Brewing Company is a bit more caramel than red in hue. I expected a higher carbonation level as is common in American-Style Amber/Red Ales. Citrus hop in aroma and leaves with a head that lingers. Long lasting aftertaste that sits on the back of the tongue. a good addition to the hideout arsenal of beers that makes me want to try their other formulas. Beauty is in the eye of the beer holder. Share your review of Tommy Gun Red below. 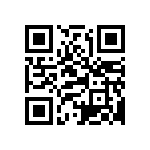 Low to moderate hop aroma from dry hopping or late kettle additions of American hop varieties. A citrusy hop character is common, but not required. Moderately low to moderately high maltiness balances and sometimes masks the hop presentation, and usually shows a moderate caramel character. Esters vary from moderate to none. No diacetyl. Amber to coppery brown in color. Moderately large off-white head with good retention. Generally quite clear, although dry-hopped versions may be slightly hazy. Moderate to high hop flavor from American hop varieties, which often but not always has a citrusy quality. Malt flavors are moderate to strong, and usually show an initial malty sweetness followed by a moderate caramel flavor (and sometimes other character malts in lesser amounts). Malt and hop bitterness are usually balanced and mutually supportive. Fruity esters can be moderate to none. Caramel sweetness and hop flavor/bitterness can linger somewhat into the medium to full finish. No diacetyl. Medium to medium-full body. Carbonation moderate to high. Overall smooth finish without astringency often associated with high hopping rates. Stronger versions may have a slight alcohol warmth.